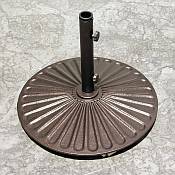 The Tuscana Design Umbrella Base with Wheels is constructed from durable powder coated cast iron with an unfilled weight of 50 pounds. This decorative base is a simple and practical way to dress up your patio, deck, or pool side. The hidden wheels make it easy to move the umbrella to where it is needed most. 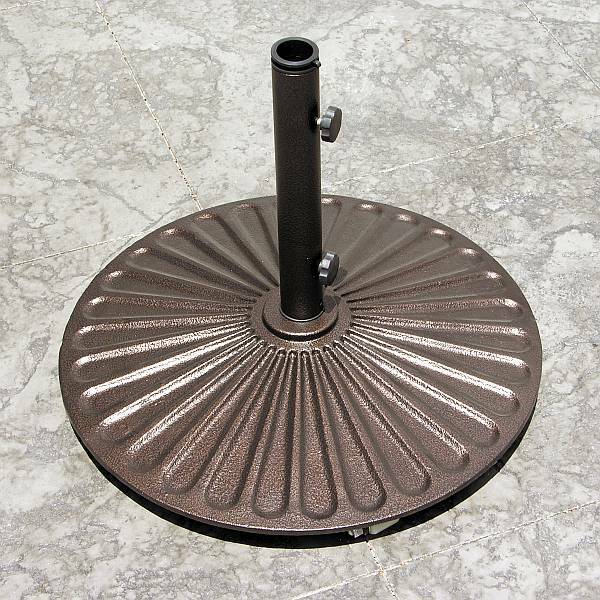 The Tuscana base is available with two different sizes of tube to accommodate umbrella poles of different diameters. Choose either a 9 inch tall, 1.75 inch diameter tube, or choose a 20 inch tall, 2.5 inch diameter tube. Available in Hammered Bronze.